Most families have one: the family historian. Whether or not the focus is genealogical, there is usually at least one family member who keeps track of siblings and cousins, sometimes to the nth degree. My father’s family had one in my great-aunt Margaret Steward (1888–1975). I do not remember meeting her, but I’ve been told I take after her, at least in so far as the mantle of family genealogist passed from her to me when I was still in middle school. 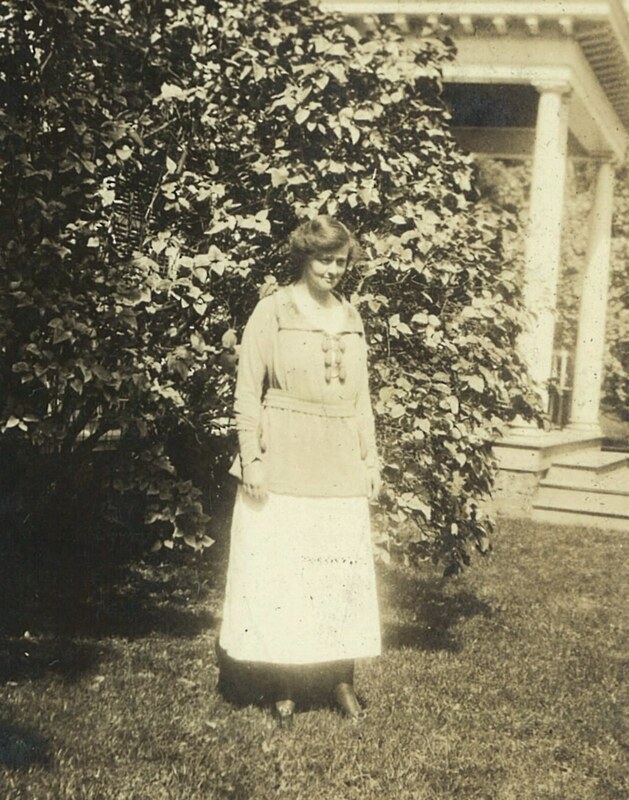 Aunt Margaret was born in New York City, and raised there, upstate in Goshen, and in Europe. Her parents certainly expected her to marry, but she – like two of her brothers – chose not to, and fell into the role of companion for her father and mother. 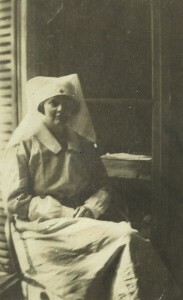 During the First World War, following in the footsteps of several older family members, she went to France to work in a canteen outside Paris, one that served the Allied troops away from the front lines. Afterwards, and for many years to come, she lived in Manhattan, traveling with some frequency during the 1920s and ’30s. She became an officer of Lighthouse for the Blind, and I gather she played a lot of bridge, but Aunt Margaret’s interest in the genealogy of the Steward, Beeckman, White, Atherton, Jackson, Livingston, and Le Roy families was another constant in her life. At one point she hired Harold Hazelton (1904–1991) to document her ancestral families, perhaps with a book in mind; curiously enough, and many years later, the boxes with Hazelton’s research notes came to me – they hadn’t been in Aunt Margaret’s possession when she died. One thing I noticed in her research was its focus on the male (or surname) line. The notion we have today of “all-my ancestors” research meant something different in the days before the Internet: once a wife’s surname was lost, there was no way other than happenstance to pick it up again. For example, an ancestress on the Atherton side appeared in print repeatedly as Rebecca (Jennison) Prentice, but while she was the Widow Prentice when she married Dr. Israel Atherton, she was born Rebecca Stevens in Harvard, Massachusetts. Rebecca’s marriage in nearby Groton to Stanton Prentice gives her maiden name, but her marriage to Dr. Atherton in Lancaster did not, and the genealogical scribes could only try their best to establish her identity. Now, with so many resources readily at hand, some of Aunt Margaret’s questions are more easily answered. I like to think that Margaret Steward would enjoy seeing what I’ve done with her work (and Harold Hazelton’s), and what I’ve added to the common fund of information about our related families. And I am beginning to think about my own successor: after all, I have a niece and two nephews, and my first cousins have more than a score of children between them. Perhaps, one day, a niece, a nephew, or one of those myriad Steward cousins will pick up the loose threads in my work and weave them into something else again! Scott – when you say Livingston are talking about Robert Livingston of Clermont and his decendants? If so, hi cousin. I have a copy of the Livingston Genealogy if that can help. It appears that the family historian comes in the form of a never married sibling, usually a female. And sadly the historical focus on the paternal or male lineage means that most family genealogies are truncated. I would love to be able to trace my “uterine lineage” but the records in Colonial New England are such that this is simply impossible. Viola, don’t give up! Especially with New England ancestry!! And there are certainly married genealogists with families — it’s a personality type (although the spinster/bachelor is certainly a model one). Yes, Howland, Robert of Livingston Manor, then Gilbert, Robert Gilbert, Gilbert Robert (not very imaginative! ), and Catherine McPhaedris Livingston — who married a Beeckman. Thanks for posting. The closest we’ve had to a family historian, other than my great-grandmother saving all of her family’s early photos and a few stories, was the wife of one of my first cousins, 2x removed. Dorothy Doty Adams (1908-2001) did a lot of work on her husband’s family lines, even publishing genealogical charts and submitting them to the LDS library in Salt Lake. I never met her and it looks like most of her research was in the 1980s, but I wish I had been able to spend time with her. Several times I have come across new repositories of my family’s history, such as the archives at Baker University in Baldwin, KS. And sure enough, photos and stories were left by Dorothy. I think that I am the only other person to discover these ‘time capsules’ so far. Hopefully, someone in future generations will come across my own work and build on it. Thanks again for posting. My goodness, how lucky of you to have some of that early research to work with! I had one sheet of paper – my grandmother Terwilliger’s brother, Hal, was the genealogist in the family and he started because he wanted to join the Holland Society, and was thrilled to later find that our Treat line went back to the first Gov of CT. Me – I’m definitely not a spinster! I’m born in Canada, divorced, 4 kids, 6 grandchildren, and trying my best on Facebook to tweak interest with various cousins – 3 of whom are showing they’re interested in specific lines of research, one on our Irish Gillespie father’s side, one on the Terwilliger-Kuhn lines, and one on the Lewis lines (my ex-husband). It helps that I throw out little teasers to them now and then. We’ve shared before because of the Atherton connection. Which Whites are you related to, and which Livingstons? I have most of your aunt’s names in my tree. Jennifer, they are the Whites of Baltimore and New York (descended from Dr. John Campbell White) and the Livingstons of Livingston Manor. Jennifer – what branch of the Livingstons are you descended from? I am descended from Philip. My paternal grandmother was a Livingston and our country place, recently sold, was the property just south of Clermont State Park. Speaking of time capsules, I’ve been thinking about creating one for & with my extended family, with future genealogists in mind, although not everyone will be interested in participating (although it could very well be their descendants who pick up the family history torch one day). I would so love to read a letter written 200 years ago by an ancestor mindful of future generations’ curiosity, describing his or her life, wishes, experiences & their family members’ personalities as well. Scott – I am now back home and looking at A Livingston Genealogy (by Friends of Clermont). Gilbert Livingston (1690-1746) m. Cornelia Beekman. One child (of 14) was Robert Gilbert L. (1713-1789). He m. Catherine McPhaedres. One child (of 5) was Gilbert Robert L. (not noted). 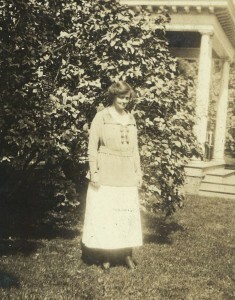 He m. Martha Kane; only one child, Robert Gilbert, noted who m. E. Burrell Burrell. Should Catherine McP L. be his brother? Jennifer – I have a Maturin Livingston m. a Mary P. Lyon. Is tha your line? This line is covered in Kinkead’s New York G&B Record series of the 1950s, tracing descendants of Gilbert Livingston.